Welcome from Jim and Jane Seymour to our premiere Hunting in Florida facility in Central Florida. Our premiere Hunting in Florida hunting facility was established in 1982. The owner, Jim Seymour is a native Floridian born and raised in Central Florida. Hunting and fishing has been a part of his entire life. He started turkey hunting with his Father at the age of nine (9). Through his youth and adulthood hunting with his father and friends, he established many long lasting relationships with hunters. In 1970 he moved to Wyoming where he became a guide and outfitter in Southern Wyoming and Dubois, Wyoming. In the Dubois area and southeastern Wyoming he guided hunters for deer, antelope, elk, bear and mountain lions. These hunts included pack trips on horses and mules. In recent years his western hunts have included mule deer, antelope, elk, prairie dogs and wild free ranging buffalo on the Crow Indian Reservation. Jim and Jane Seymour are very proud and passionate of their Hunting in Florida facilities. They are fortunate to live and work in this area of Florida where the weather, as a rule is most comfortable. They wish to provide you with the very best Florida hunting possible. 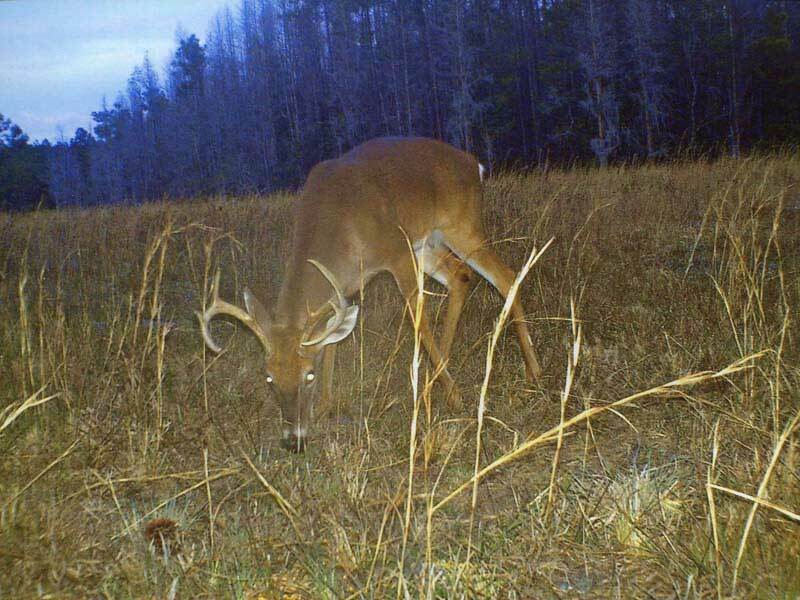 Safety is #1 with them, following good hunting practices and up hold Florida hunting regulations. Their facilities include two (2) cabins each with twin beds, and one (1) cabin with a queen size bed and one (1) twin bed with complete bathroom facilities, air conditioning and heat as necessary in each. They can accommodate four (4) to six (6) hunters. Enjoy spending time with our hunters, getting to know you so we prefer smaller numbers. We can accommodate up to nine (9) hunting guests with prior notice. Jim’s 40+ years’ experience provides him the opportunity to see to the details of your hunt making it a great outdoor experience for you…that is their goal. They offer you the opportunity to harvest a trophy Florida Wild Osceola Turkey, native Florida Whitetail, Dove, Hog and native Predators. Our management of these properties includes prescribed burns, mowing, disking, and planting of large food plots and supplemental feeding. We suggest that all our clients be in good physical condition. You may find our weather to be humid, warm, wet or cool. When packing we suggest you bring light hiking boots, long sleeve camouflage shirts, long pants, face mask, gloves, jackets for cool weather, rain gear, binoculars, small flashlights, as well as any other personal hunting equipment that you require. If you have any special needs please discuss this with us at time of booking your reservation. Don’t forget your camera and batteries. We do not hunt over bait, feeders, behind high fence, or release any birds prior to the hunt. This is not a preserve hunt utilizing pen raised birds or Bucks, as is not uncommon in some operations. We offer only the PURE WILD FLORIDA OSCEOLA TURKEY. Please take a look at our picture gallery. Our site can be viewed on just about any computing platform but you won’t find us on Facebook, Twitter or other social media site. *We have excellent taxidermist available or you can make your own arrangements for the mounting of your bird. *There is also local game processing available.